Jim Lukaszewski provides the framework for building an effective crisis management program. 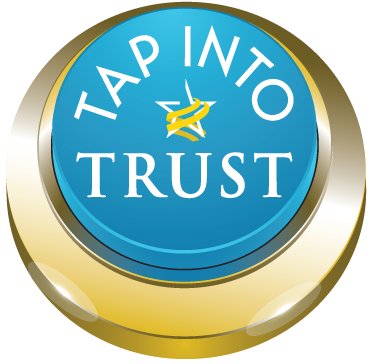 He provides tools and guidance on how to identify existing vulnerabilities and potential risks. The entire book is written in clear and plain language, very direct and therefore easy to understand. This book is a must read for those involved in crisis management, as well as every serious security practitioner, human resources professional and lower and mid-level operators, managers and leaders. This book is also available for educators, as noted on Rothstein’s website. Jim has a long and successful history of being thrust into the business lives of C-Suite leaders. As with his lectures, podcasts, and publications, in his new book the task of crisis response emerges as more than a to-do list; it is a true learnable leadership art. His book should be compulsory reading for leaders, aspiring leaders, and students of the business game. Jim has been an international thought leader in crisis communication for four decades and is one of the most knowledgeable people on earth about crisis management. His counsel has saved the reputation of many corporations and individuals. In this new book, he shares a career’s worth of his thoughts, wisdom, and experiences. 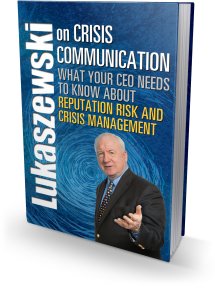 When I’m asked what business professionals or students should read to improve their skills in the area of crisis communication, I always say, ‘Buy anything by Jim Lukaszewski.’ I have encountered few authors whose material is a must-read. Jim is one of them, and this book may be his finest work. President, Bernstein Crisis Management Inc.
Jim Lukaszewski is one of the field’s most influential innovators and practitioners, counseling countless CEOs, executives, and management and communication leadership teams. He is one of the foremost teachers of crisis communication strategy and tactics, informing and motivating thousands of managers, communicators, educators, and students in-person and online.